Can you please advise what these are made of. e.g. do they contain plastic? Thank you. An essential tool in a wide range of environments, our Hair Nets Blue offer high quality performance for an economic price. Each net has been finished in a bold blue colour, which helps enable quick visual identification while also reducing contamination through vibrant contrast. They easily stretch to accommodate most head sizes and will contain hair in a neat, tidy and organised manner while you work. These pack of 3 x 48 nets come attached to a metal ring, allowing them to be easily distributed and stored until required. 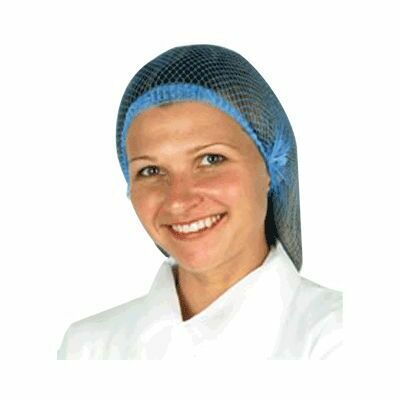 Disposable and compact, our hair nets are perfect for catering, manufacturing or surgical procedures.